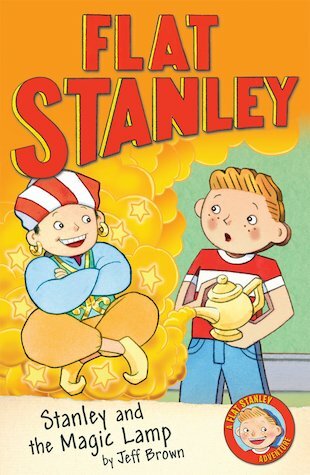 Strange things are always happening to Stanley – especially on the day that he polishes his mum’s lamp and a boy genie pops out of the spout! Mischievous Prince Haraz can grant everyone any wish they choose, and he has great fun helping Mr Lambchop to beat his horrible tennis rival Tom McRude, and helping Mrs Lambchop to become famous! Even better, when Stanley and his brother Arthur can’t decide what pet they want, Prince Haraz creates an amazing brand new pet: a lionphant! But after a while Prince Haraz starts to miss his own friends and family. Is there a wish that Stanley can make to send him home again?